Tritonal Remix of Adam Lambert's "Ghost Town." If you missed any of the #GhostTown remixes released last week, stream them all at soundcloud.com/adamofficial and hit that follow button. This is a rap/vocal remix. Adam Lambert - Ghost town (London Jack remix) FREE DL on London Jack's facebook page. Here is a Bootleg/ Unofficial Remix of Ghost town by Adam Lambert from his new Album The Original High. Enjoy! And don't forget to download! 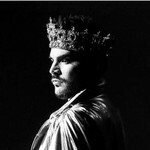 Pre-order Adam Lambert's album "The Original High" [available June 16th] and get an instant download of his single "Ghost Town" at adamofficial.com.